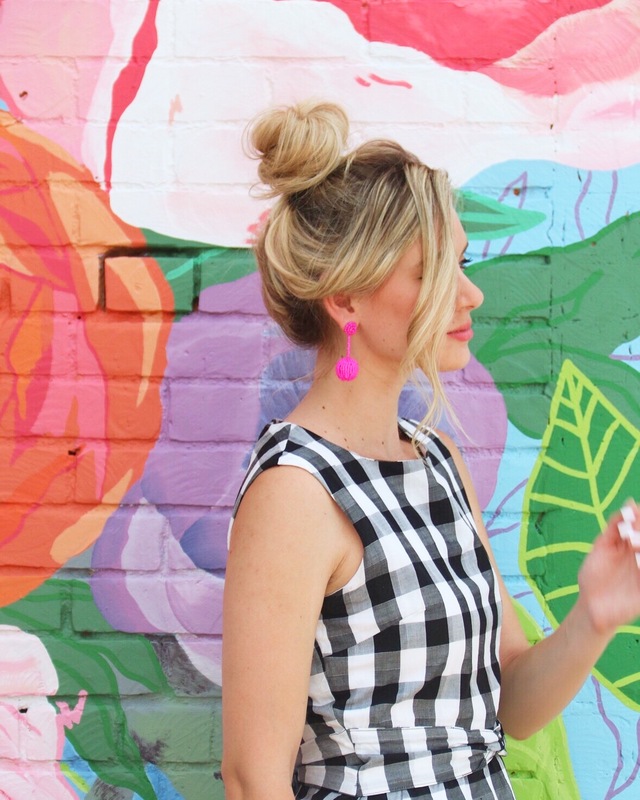 Gingham and pops of pink! 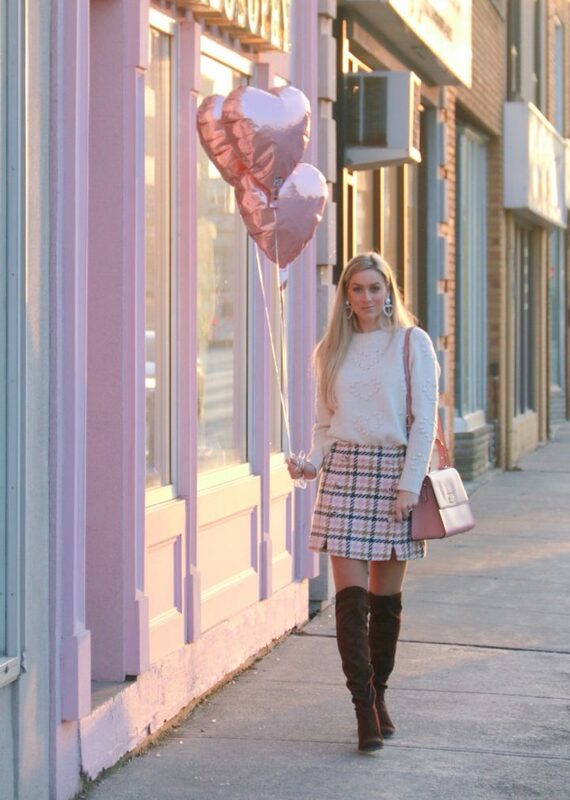 August 26, 2018 December 20, 2018 by Sara StaffordLeave a Comment on Gingham and pops of pink! Gingham print everything has been taking over the fashion industry and I totally got in on the action. This gingham print dress has the cutest crisscross waist, and ties at the back in a bow! 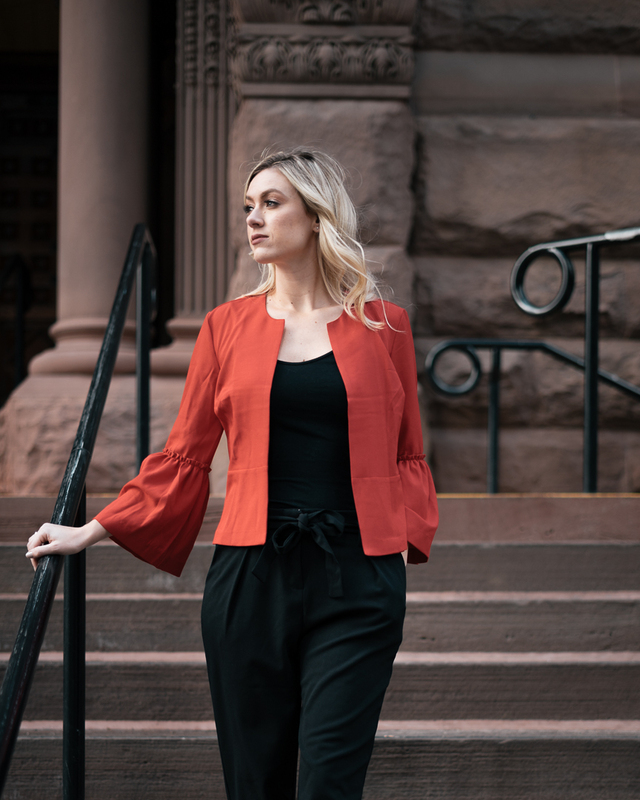 It’s the perfect piece for summer to wear all on its own, throw on a jean jacket, or dress it up and pair it with.a blazer and cute heels for work! I picked mine up on sale at the start of the summer for $10.00, it’s no longer in stock, but they have an adorable one currently on sale that is very similar! This week’s style edition puts a modern twist on a classic print! 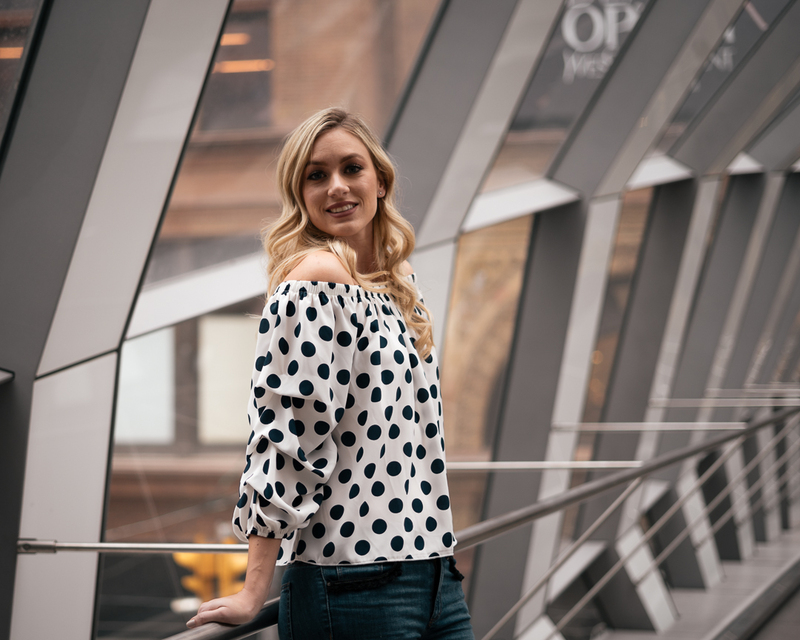 Continue reading to see how I styled this off-the-shoulder polka dot blouse. The feminine polka dot print has been around for decades, and became increasingly popular by fashion icons such as Marilyn Monroe, Kate Moss, the ever stylish and beautiful Princess Diana, and more recently Kate Middleton as a nod to her late mother-in-law. With it’s bold, fun and feminine undertones, polka dots are a sure way to have your style stand out and get noticed. The modern twist on this classic print is the popular off-the-shoulder trend. We’ve seen this trend develop over the last few years, and judging from the Spring/Summer 2018 styles, it’s here to stay for at least another season, if not longer. The key to styling such a loud print is to keep accessories minimal, and pair it with something solid if you’re not up to mixing prints. I’ve styled smaller polka dots with floral prints before and I loved it! It’s all about colours, size of the print, and even texture. 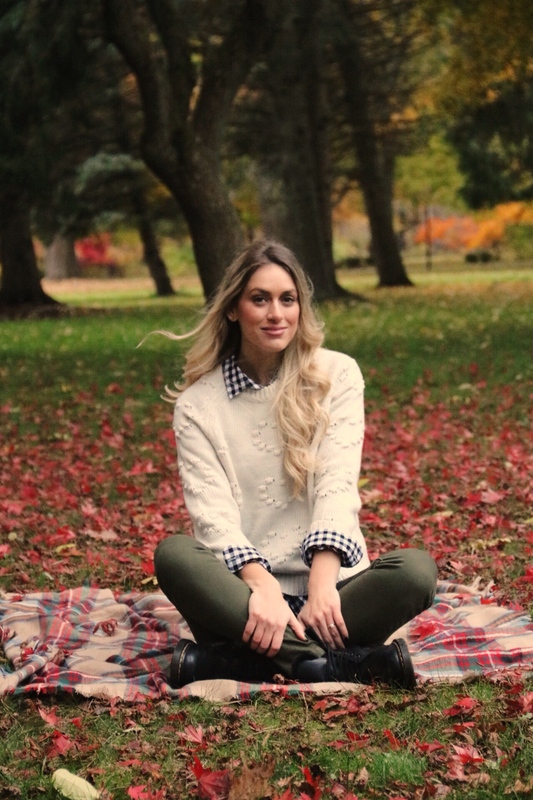 You’ll find out what works and what doesn’t for your personal style! The billowing sleeves add a touch of elegance and flair. Statement sleeves are another trend you totally need to get behind this season. I love how fun and flirty the pairing of off-the-shoulder and a bold polka dot print is! 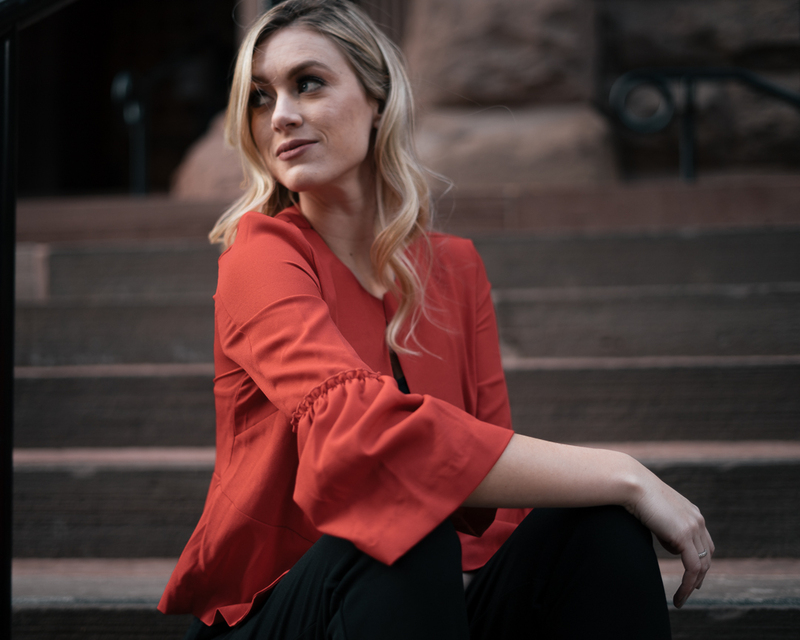 This top is the perfect transition into Spring, and is light-weight to bring into summer with a pair of jean shorts or a skirt. You too can rock the dot! Slogan tees/ band tees, have been around forever, but they have increasingly become popular fashion pieces, and the days of them only being worn at concerts are over. 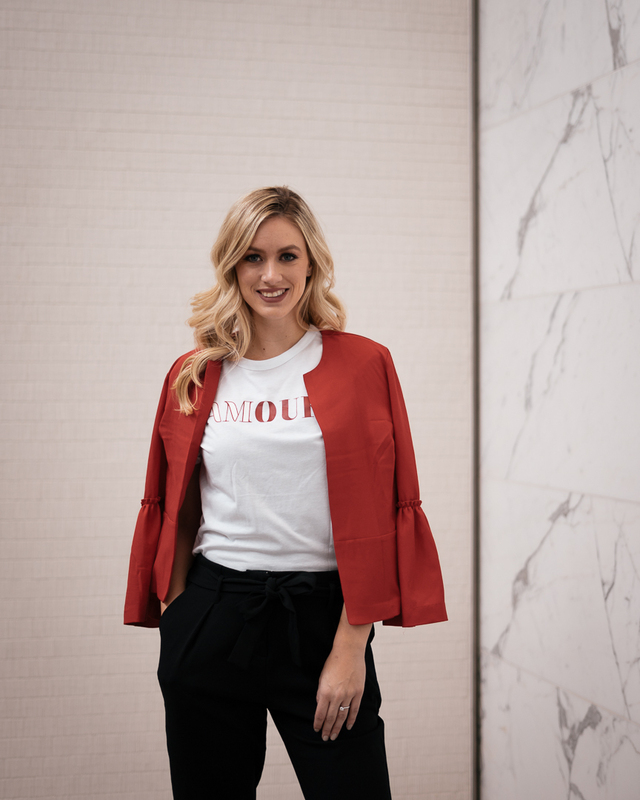 Taking one look at the street style during fashion week, you will see this trend popping up everywhere, with tees paired on their own, or underneath a leather jacket or blazer. I thought I would give the look a try, and I will definitely be styling my band tees like this more often. It’s a great way to add a little edgy style to your everyday look. 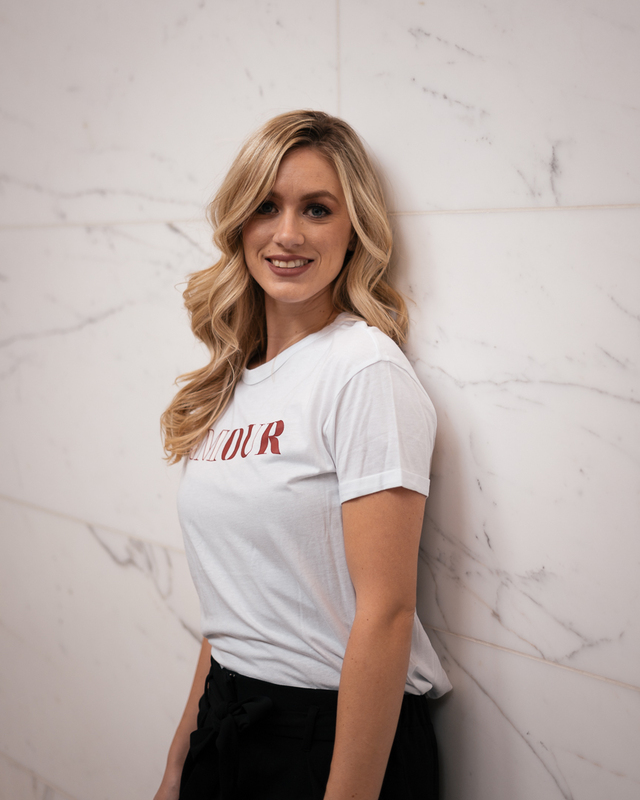 These tees can be worn any season, paired with a jacket or blazer if its cool, or on its own with jeans or distressed denim shorts in the warmer months! Adding a leather element to this piece instantly amps up your rock and roll status! Pairing the slogan tee with a pair of black pants and pumps instantly amps up a casual look. Add polish to your easygoing tee look by adding a blazer. I loved the pop of red that tied together the red slogan on the tee. 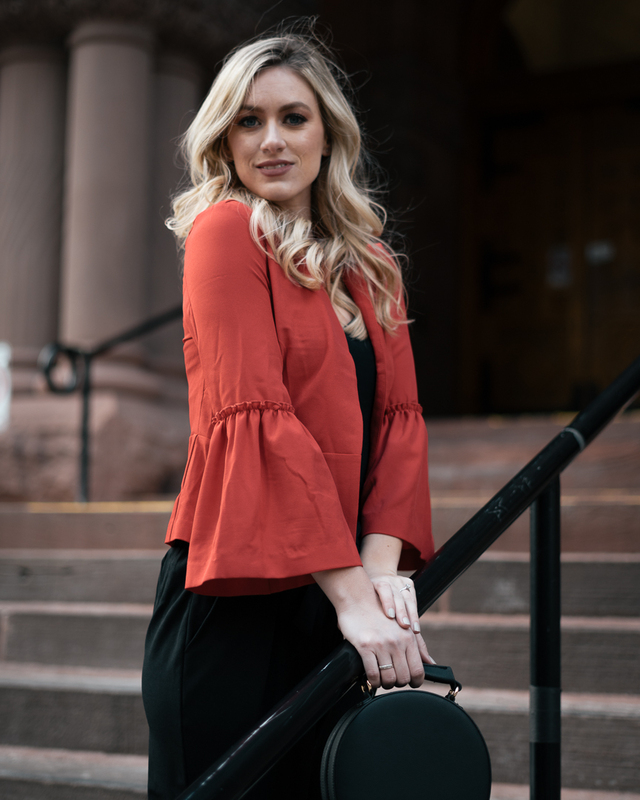 If you’re not into the whole tee look, here’s the red, ruffle-sleeve blazer paired with just a plain black tank.